As a NICU nurse, I have cared for the family and their beloved baby on the day they have passed away so many times. Too many times, actually. It is a sad fact that I have been to around 10 times more baby funerals than I have adult funerals in my life time. Sometimes a baby has died unexpectedly and without much warning, despite our best efforts to save him. Other times, a baby will pass after a long and tough battle, with the timing planned and prepared for, a battle that one so tiny and precious should never have to fight. No matter how a baby dies, usually afterwards, as their nurse I receive thanks. These thanks come from parents who can barely see me past their own tears, or speak past the lump that has formed in their throat. To these parents, I say, “No, thank YOU!”. Thank YOU for being so brave and strong. I watched you as you held your baby’s tiny hand, and brushed your fingertips across his soft forehead and told him it was ok for him to go, when all you really wanted to do was to pick him up and run, taking him far, far away from all of the wires and tubes he was connected to. You saw that his fight was gone and that he was tired, and instead of doing what was best for you as his parents, you did what was best for him. People around you are a mess, and you spend most of the visits from your extended family comforting them rather than them comforting you. You are strong, you are brave, you are amazing. Thank YOU for asking for me. When you were asked what day and time you would like to have your beautiful baby’s life support ceased, you asked what day I was next working. You knew that I needed to be able to say my goodbyes too. You knew that I couldn’t bear to turn up to my next shift and find an empty cot. You knew I couldn’t work in the room next door, feeling helpless and unable to do anything about it. You might have thought that you needed me there, but really, I needed to be there just as much. Thank YOU for not making me feel guilty for being the person who removes your baby’s life support. I already hate that task, but I try to make it as gentle and peaceful as possible. I try not to leave your side, as I know it is scary for you to watch your baby take his last breaths. I try to make the entire experience as smooth and painless as possible for you all, despite knowing that you are right now experiencing the greatest pain a parent will even know. I know your heart is breaking in two, and you are petrified not only about what is happening, but also for what is to come. I touch your shoulder and hold your hand as if I can by touch alone take away some of your pain..and I do, I take some of it with me, and carry it with me always. It make me a better nurse. I makes me who I am today. Thank YOU for not noticing the silent tear that slips from the corner of my eye as I take your baby from your arms and you reach out to touch him, and kiss his forehead one last time. I am human, and I am moved, I am affected. In some ways, I am feeling blessed and thanking my lucky stars that my own children are tucked up safely at home in bed. On the other hand, I am devastated that something so tragic has happened to a family who least deserve it. Not that anyone deserves to lose a baby, but dammit, it always seems to be the lovely ones who do. Thank YOU for asking if I am okay. I should be the least of your worries, and I truly am ok. Sadly, this is a tragic part of my job. I would love to be wrapping your baby up in a soft woollen blanket to go home with you, rather than to be passed to you for one last cuddle. I would love to be teaching you how to bath your live, wiggly, healthy baby, rather tour fhan silently bathing your baby on my own in preparation for contacting the funeral home. I would love for first cuddle of your baby to not also be your last. Thank YOU for making time to say hello when you visit the hospital for other reasons in the weeks following your baby’s passing. I have been thinking about you and how you are coping. I have cared for a dozen sick babies since the day you lost yours, but you are still the ones I think about in moments of quiet reflection. I’ve had to pass on the sad news to other nurses who also cared for your baby when they work their first shift since that day. It is never easy news to hear, no matter if it’s the first time or the fiftieth time. Thank YOU for mentioning the nurses in your speeches at your baby’s funeral. We don’t expect praise for what we do, we really don’t. Normally, seeing a healthy, happy baby go home with their excited parents is reward enough. 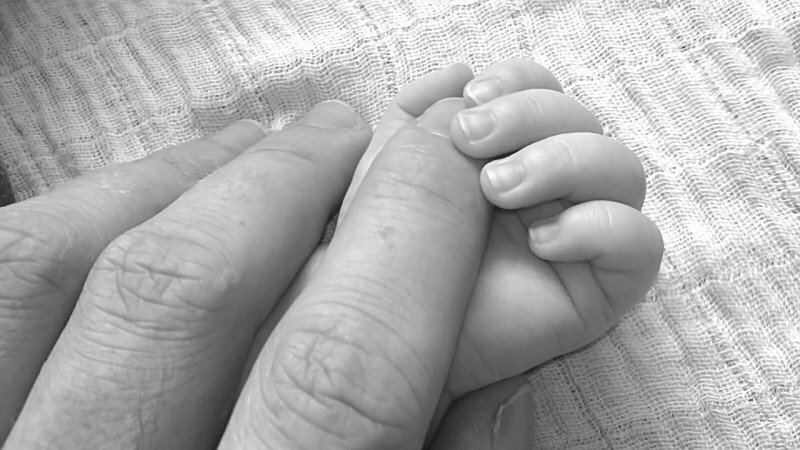 When a baby dies, we feel as if we have failed and least deserve praise. Knowing that you think well of the nurses who cared for your baby means the world to us. The fact that we made even a small amount of difference to a journey that has a sad ending, makes it that little bit easier to keep coming back to work in such a tough job day after day. Thank YOU for returning to visit in the years that follow with news that you have gone on to have a healthy baby brother or sister for your lost little one. Seeing you happy means so very much to me. It gives me hope for all of my bereaved families that they too will go on to find happiness in the future. I mention how your little one must be very lucky to have their big brother watching out for them from above, and I know you are stoked that I have remembered them. Of course I remember, I have been touched by your little one and your family, and a little piece of me will be affected forever. So, you see, it is not you who should be thanking me, it is I that should be thanking YOU! Katherine Brighton is a wife, mother of two boys (2009 & 2011), neonatal intensive care nurse and small business owner. She has a special interest in adult education, and parent & infant attachment and bonding.Katherine loves all types of crafts, enjoys cooking, and is an avid reader. She loves spending time with her young family and close group of girlfriends.Katherine’s eyes were opened to the big wide world of online parenting forums and online mother’s groups during her first pregnancy, and again with her second, and she loves the friendships these groups have brought into her life.